In actuality, the word ‘monochrome’ is rather useless. No object or being is ever completely devoid of variety or undulation in regards to its photo-reflectivity. This observation is appropriate when considering a new exhibition hosted at Alexander Gray Associates in Chelsea: ‘Overcoming the Modern, Dansaekhwa: The Korean Monochrome Movement’. 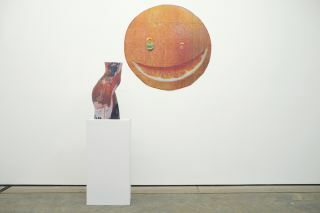 Directors Alexander Gray and David Cabrera have collaborated with respected international curators Sam Bardaouil and Till Fellrath to present works from a highly undervalued sector of the contemporary art world, a movement of artists lost in the shuffle of a blue-chip, auction-house world. Their achievements in realising both minimal and abstract visual gestures, while maintaining a firm grasp of traditional materials and mark-making within their own culture, is bought to the fore in a similarly elegant, digestible manner by Bardaouil and Fellrath. 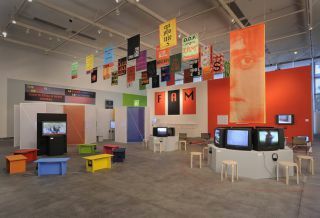 ‘Dansaekhwa’ is loosely defined as a reactionary school of Korean Modernism, defying the figurative propaganda instituted during the totalitarian rule of Park Chung-hee during the 1960s and ‘70s. 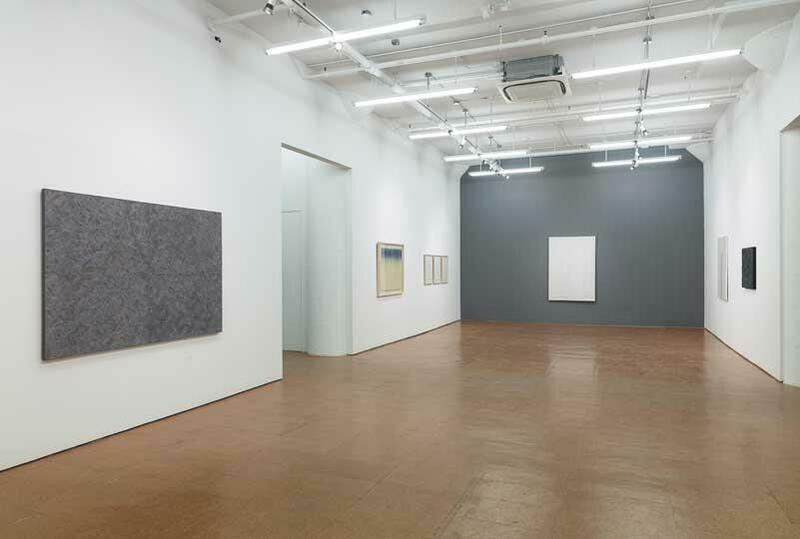 These artists (who included Chung Chang-sup, Chung Sang-hwa, Ha Chong-hyun, Park Seo-Bo, Choi Byung-so and Hur Hwang, among others) were conscious of western aesthetic developments such as American Abstract Expressionism, Colour Field painting and Italian Arte Povera. Yet, they elected to incorporate highly specific eastern elements into the physical and psychological structures of their work: hanji paper, traditional rice paper, and calligraphic ink were all employed yielding pointedly anti-traditional results. 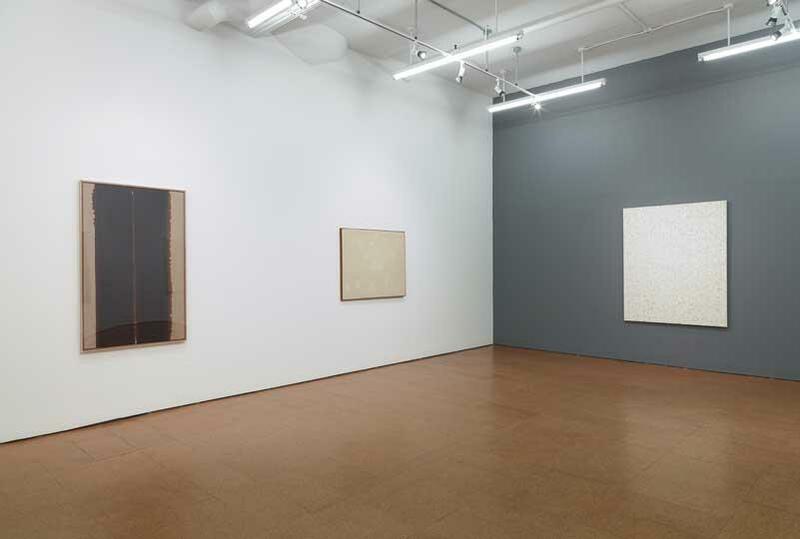 Tactile, almost of a sculptural sensibility, the works’ physicality was an essential part of the viewer’s experience. 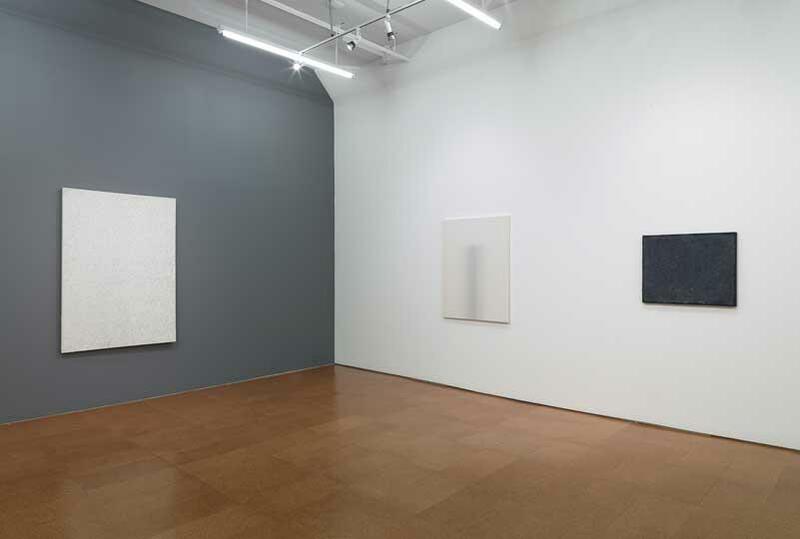 The curators chose a minimal set-up throughout the front gallery space, with the works set against alternating dark grey and off-white walls. Chung Sang-hwa’s ‘Untitled’ (1976) appears as a dense grid of minute, light tiles with undertones of blue, black and light brown. Another work by a Sang-hwa composed three years prior, ‘Untitled 005’, displays a deeper concern with neutral gradients of browns and flesh tones. Ha Chong-hyun operates at the opposite end of the colour wheel with ‘Conjunction 97-102’ (1997) pulsating with overlapping scrapes of blue-black paint across the surface, and ‘Conjunction 97-114’ (1997) harbouring indentations in heavy umber paint so deep that the seams of the canvas itself are visible. 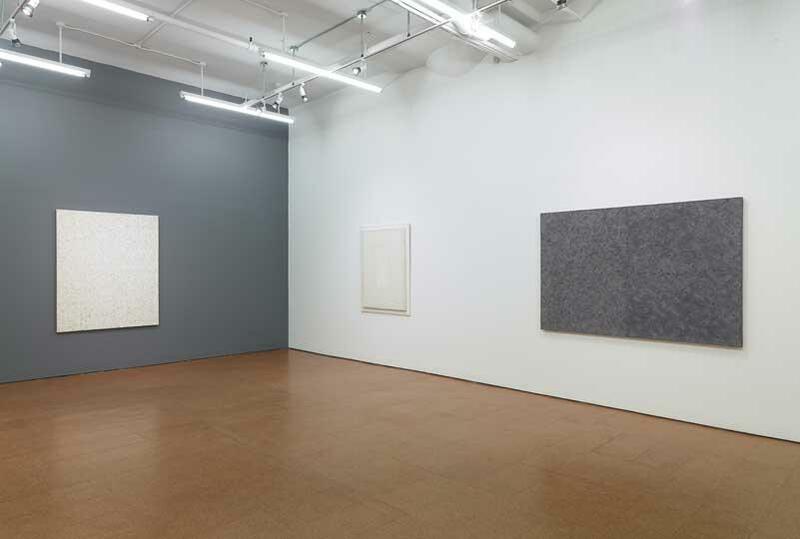 Alternatively, works by Hur Hwang and Lee Dong-Youb are nearly featureless meditations on gentle white and beige color fields. 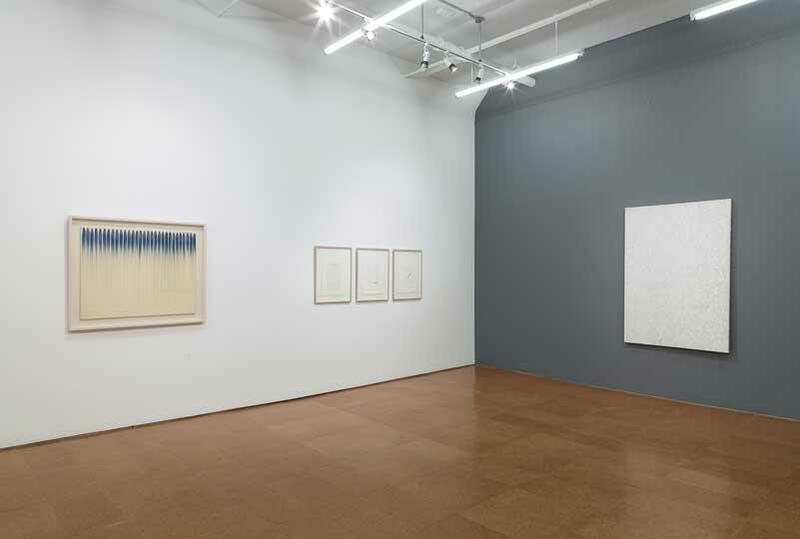 Lee Ufan’s ‘From Line No. 12-12’ (1982) is a seemingly gracious nod to Klein with pronounced strokes of vivid blue receding onto a bright beige surface, and Yun Hyong-keun’s ‘Untitled’ from 1986 is a shimmering ode to Newman, with a bold mahogany block at the centre disrupted only by a thin, quivering strip of mocha brown in the exact middle. Bardaouil and Fellrath’s project comes from the purest of intentions: to expose an under-represented group of talented individuals whose accomplishments, in and of themselves, deserve a second glance from the larger contemporary cultural community. Granted, their influence did not carry over globally into the methodologies of working artists in the same way as did their western counterparts’ - this would have been logistically and intellectually impossible, anyhow, given the socio-political conditions under which they lived. But these artists held onto ingenuity and hope having expertly negotiated ground-breaking aesthetic techniques under the watchful eye of the State.